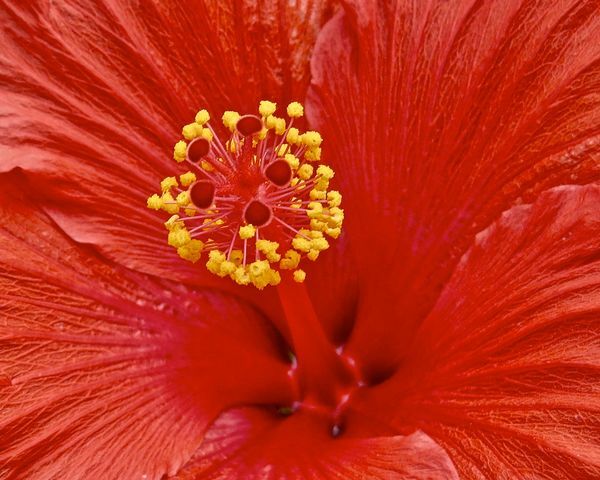 Thanks Bob, kinda a typical hibiscus shot.....but what the heck. I hope you wouldn't mind telling me the details for that image (camera, lens, settings, processing) - I don't have an easy way to look at EXIF data. Then, another question: how are you getting links to your last 3 posts into your signature line? Last question: that is a pretty nice image, but I wonder if you would you be amenable to a discussion about how it might be improved? Okay, the photo was taken with a Canon SX50. The ISO was 80 and the shutter was 1/100 sec. The focal length and f stop would have to be converted to an equivalent to make any sense. Processing was a potpourri of programs. Probably Photos, Aurora and Luminar. If flaws in the flower were removed it would most likely be done with the clone stamp from Snapheal. As for the links: Copy the link to your topic, click on your profile, scroll down to the box with Signature over it and paste the title and link into the box......click update and you are finished. I am indeed amenable to a discussion about how it might be improved. Slice and dice if you wish. A perfect capture of this beautiful blossom, Bmac! Thanks Annie. You have a beautiful state, by the way. Did some road tripping around this past spring and stayed in a cabin south of Traverse City. Lot's to see and do up there, and great photo opportunities. Thanks. Yes, I am familiar with the SX50. How far from the blossom were you, do you think? Moving the camera a lot closer and zooming the lens out might have worked better - more depth of field. Those Hibiscus blooms present some interesting challenges, I think. So you keep changing your signature every time you post an image? I thought maybe there was a way to automate it somehow. Sheesh Mike, I really can't remember how far away I was, but I do like to use a selective focus at times when I shoot close ups.....especially of flowers. I change the signature every time but it only takes a moment. Enjoy your evening. beautiful closeup of it...love the pretty red color. Great Job.....thanks for showing it.